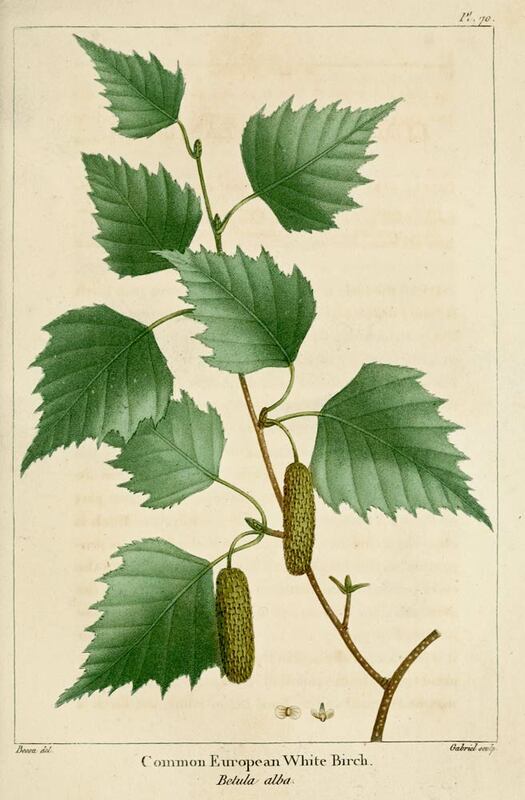 Birch is a broadleaf tree in the same family as hazel and alder. Because its bark is speckled with dark patches that resemble peering eyes, it has been dubbed the watchful tree of the North American landscape, although it’s actually native to Europe. The bark lends a camphor-like flavor to teas and other beverages. Betula alba is a deciduous tree of the Betulaceae family that can reach heights of 50-80 ft. The tree has a slender trunk with white bark that often has black diamond-shaped marks or larger patches, particularly at the base. The shoots are rough with small warts and are hairless. The leaves are 1-2 inches long, triangular with a broad base and pointed tip, and have coarsely double-toothed serrated margins. The flowers are wind-pollinated catkins, produced before the leaves in early spring. The small winged seeds ripen in late summer on pendulous, cylindrical catkins. 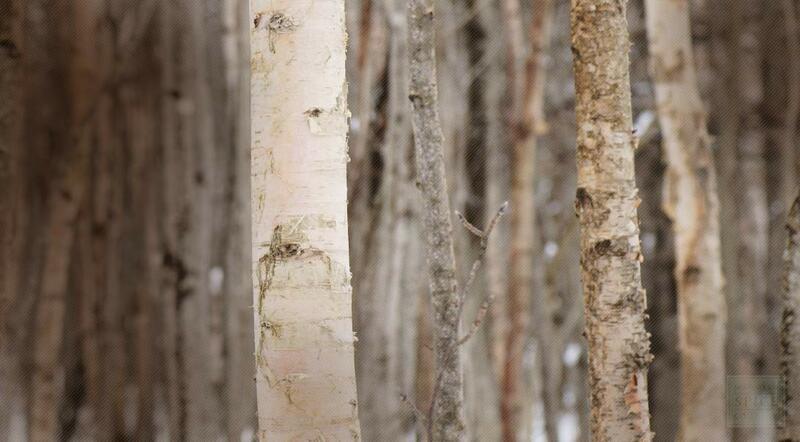 Birch is native to Europe, in southern Europe it is only found at higher altitudes. Its range extends into southwest Asia in the mountains of northern Turkey and the Caucasus. Birch trees grow best in partial to full sunlight. Birch treesthrive in moist soil that stays cool. They have shallow roots and cannot handle short periods of drought. Plant the birch in soils with a pH level between 5.0 and 6.5. Refrain from planting in compact soils or soils that may become compacted in the future, such as near driveways or sidewalks. Birch can be grown from seeds or cuttings. For seeds: capture seed pods from a birch tree in August when they start to fall from the branches and flutter to the ground. Place seeds in containers with well-rotted compost and humus. Cover with a little soil and water until damp, but not drenched. Place the container in a plastic bag. Place the plastic-wrapped container in an unheated area, like a garage or shed, as the seeds need a period of cold rest time until the early spring when the threat of frost has passed. For	cuttings: take a 5 to 8 inch cutting from the current year's growth, making the cut just below a leaf node. Remove all leaves from the lower 3 inches of the cutting, and place the cutting in a root hormone solution. Allow it to soak for 1 day. Place it in a pot filled with an equal amount of peat moss and sand. Plant the sprouted seed or branch cutting in cool, moist soil. The branch can be planted after 8 weeks; the sprouted seed can be planted after 6 to 8 months. The young tree should be planted where it will receive sunshine for most of the day, plant in late April or early May (when the danger of frost has passed). Be sure to mulch with wood chips, leaf compost or shredded bark. The white bark naturally will begin to loosen or uncurl from the trunk; the loose bark is peeled off and separated into thin layers. The bark is dried and then cut into small pieces. Once the birch bark is cut and dried, store in an airtight container in a cool, dry place.